We were in contact with a reader who currently has trouble with World of Hyatt trying to use his Explorist Club Upgrades after he booked a “Third Night Free” promotional rate advertised on Hyatt’s own website. Hyatt claims that his rate in ineligible to use the annual Club Upgrade Certificates even though booked through their own channels which doesn’t make any sense. 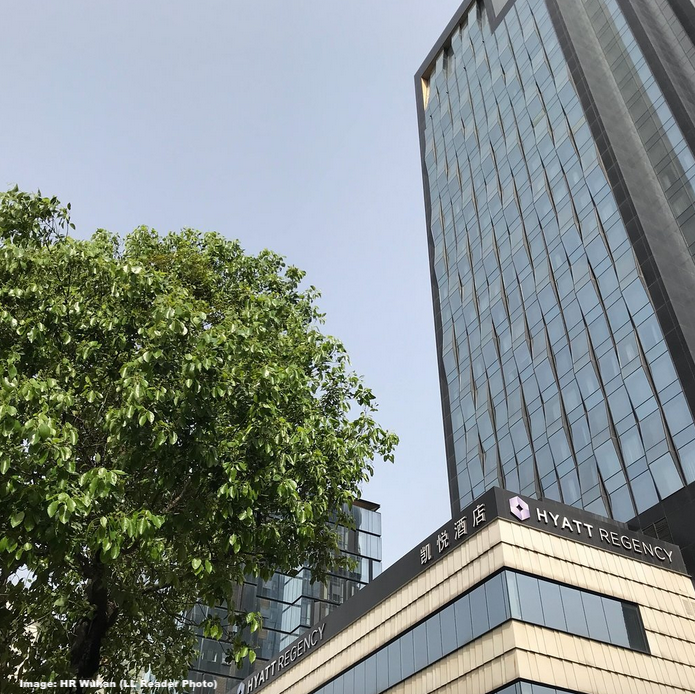 Our reader booked a three night stay the Hyatt Regency Wuhan using a Union Pay discount code (CUP19) which entitles him to a complimentary third night but he quickly ran into problems when trying to use his Explorist upgrade benefits. Every 3rd night free and is reflected in the rate Guest must guarantee the booking and settle the payment with China UnionPay Platinum or Diamond card – starting with 62 and must be the registered guest on the booking. Guest must be a World of Hyatt member to receive this rate. Maximum 3 rooms under the CUP card holders name. It doesn’t say anywhere that this rate would exclude the use of a members status benefits. Explorist Members receive 4 Club lounge access awards annually, including breakfast which the reader then tried to apply but got denied by Hyatt. I contacted the reader with a quick message asking if Hyatt has in the meanwhile resolved this problem but he said that this didn’t happen and he’ll likely choose a different hotel. Thanks. This has not resolved. Hyatt Twitter team contacted the hotel about 36hrs ago but I still do not hear back from them. I plan to stay at a Marriott hotel instead. Basically their argument is that for this third night free rate plan(Code CUP19, for most Chinese hotels), club upgrade award for explorist is not applicable due to the third night is free. (which does not make any sense to me at all. The third night free is basically marketing gimmick for 33% off) The rate plan, however, is an eligible rate for points and tier credits. It is really ridiculous of Hyatt to exclude members from using club upgrade award for a PAID ELIGIBLE rate. I absolutely agree with the reader here. That Hyatt excludes their own rates from using the Explorist Club awards is totally absurd. In fact there have been many problems with these upgrades since they are in circulation such as some hotels not accepting them at all claiming capacity control reasons. The rate is approximately 100 CNY cheaper per night (on a 3 Night stay) than booking the lowest Advance Purchase Member Rate, however Hyatt refuses to accept the Club Access Award. In order to use the Club Access award the guest could book the member rate instead but this is a prepaid reservation and also costs ~ 400 CNY more than the Union Pay promotional rate and to be honest I wouldn’t pay the difference either. The customer tried to get in touch with Hyatt in order for them to manually override this but they refused it multiple times saying that the third night free renders the Explorist Club Award ineligible for this reservation. This is a clear example of false advertisement to me and in fact it’s absolutely absurd why a rate offered on their own website wouldn’t be eligble. Obviously Globalist members could still receive all their on property benefits but likely not use the pre-confirmed Tier Suite Upgrade.